If you are leading a group of people they are looking for some who has a vision, that’s going to inspire them, that’s going to motivate them. If you are doing the tactical work everyday, you won’t be able to do that. 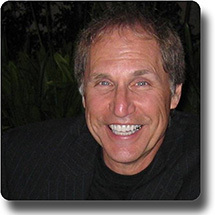 Jeff Wolf is one of America’s foremost executive business coaches, speakers and management consultants. Prestigious Leadership Excellence Magazine named him one of the Top 100 Thought Leaders for his accomplishments in leadership development, managerial effectiveness and organizational productivity. His strategic focus on solving corporate and human issues has garnered continuing raves from myriad global organizations. Jeff’s first book, Roadmap to Success, with management gurus Ken Blanchard and Stephen Covey, is now in its second printing. His new book, Seven Disciplines of a Leader, will be released in November 2014. Featured on NBC and Fox, Jeff understands what today’s leaders demand: business acumen, leadership skills and common sense, all of which produce extraordinary growth. Whether he’s working with world-class organizations or small businesses, Jeff’s clients—including Sony, AT&T, Samsung, Abbott Labs, CVS/Caremark, URS, Ace Hardware, Hyatt, Baxter International, Cummins, Pfizer, Tupperware International, Thomson Reuters, Monsanto, General Mills and hundreds of others—know where to come when they want to hire the best. As founder and president of Wolf Management Consultants, LLC, he has built a valued practice that addresses the critical problems confronting businesses today. What is the job of a leader? The job of a leader is to basically, to nurture the growth and development of other leaders within the organization. 100% of proceeds from Seven Disciplines of a Leader will be donated to America’s veterans.